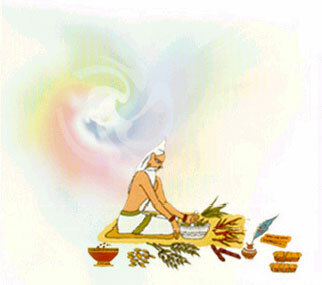 Ayurveda is the world’s oldest known medical science, which originated in India over 5,000 years ago. The main source of this ancient knowledge is the Vedas or the divine books of knowledge propounded by spiritual rishis (sages) in India. According to Ayurveda, living in harmony with nature and according to natural principles ensures complete physical health and peace of mind. However, modern life often violates the principles of natural living. We work long hours in offices with artificial light and air conditioning systems. We don’t have time to prepare breakfast, eat a fast food lunch at our desk and a pre-prepared dinner in front of the television. We rush from one mundane task to the next while being bombarded with advertising and constant noise, and absorbing pollution through the air and water. No wonder we are inviting disease rather than confronting it. Living naturally according to some simple principles can prevent the need for expensive medical treatment or needless suffering from debilitating conditions. Learn to listen to your body and read the signals of distress to maintain health, and lead a more productive life. Ayurveda thus offers a unique blend of science and philosophy that balances the physical, mental, emotional and spiritual components necessary for holistic health. 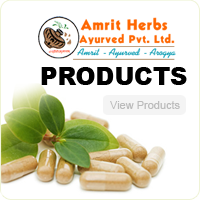 Browse through this section to pick some handy Ayurvedic home remedies, access our online Ayurvedic dictionary or scan through a wealth of information on topics ranging from daily health solutions to profound Ayurvedic philosophies.